SAN DIEGO (Bloomberg) -- Toyota Motor Corp. will have to face lawsuits claiming deaths and personal injuries caused by unintended acceleration of its vehicles if a tentative ruling by a federal judge in California becomes final. Lawyers for injured customers and families of those killed in accidents provided sufficient evidence to allow their cases to go forward, U.S. District Judge James V. Selna in Santa Ana, Calif., said in a tentative ruling yesterday. Selna earlier denied Toyota's motion to dismiss class-action, or group, suits claiming economic losses related to sudden acceleration. The automaker is accused in the lawsuits of failing to disclose or warn of a defect in its vehicles that could cause unintended acceleration. Toyota said in court filings that the plaintiffs didn't offer specific allegations of an actual defect and that the company didn't conceal anything. Selna said he wouldn't dismiss fraud allegations against Toyota related to unintended acceleration, citing claims by the plaintiffs. “Rather than disclosing the (unintended acceleration) defects to consumers, Toyota often blamed consumers for (unintended acceleration)-related problems,” he wrote. The company has recalled more than 10 million vehicles globally for repairs related to unintended acceleration, according to Automotive News research. In September 2009, the automaker announced a recall of 3.8 million Toyota and Lexus vehicles because of a defect that may cause floor mats to jam accelerator pedals. The company later recalled vehicles over defects involving the pedals themselves. “These rulings are only tentative and come at a stage of the legal proceedings in which the judge has to accept that what the plaintiffs allege are true, even though they are unproven,” Celeste Migliore, a Toyota spokeswoman, said in an e-mail today. 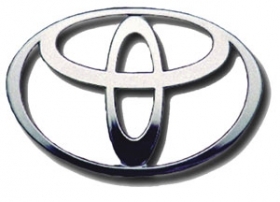 Toyota faces about 400 lawsuits alleging lost vehicle value or injury or death from sudden acceleration. Selna heard arguments today about his tentative ruling. Federal lawsuits claiming death or injury caused by sudden acceleration are combined in his court as part of the MDL, or multi-district litigation. Selna took the matter under submission and didn't indicate when he would issue a final ruling. “I understand that at the pleading stage you were not going to dismiss them but we are trying to force the plaintiffs to give us a little more information,” Vincent Galvin, a Toyota attorney, told the judge today. Galvin said he didn't expect the cases to be dismissed with prejudice, which would have meant they couldn't be refiled. The plaintiffs' complaints lack important details about alleged accidents, and granting Toyota's dismissal motions would have forced them to be more specific, he said. “Many of these complaints are forms that are used in one case after another,” Galvin told the judge. The complaints typically say, “Vehicle suddenly accelerated, I braked and it did not stop,” he said. “It is reasonable to request that they plead more facts. The judge is rejecting almost all of Toyota's arguments, except for a few minor claims by that can be refiled later, said Mark Robinson, one of the lead lawyers for plaintiffs in the personal injury and death cases. “If the judge finalizes this important tentative ruling, the plaintiffs' ship is sailing at full speed with a prevailing wind,” he said yesterday in a phone interview.